Being active in the PPA Awards and print competition process has always been a priority for us in our growth as photographers. This year we were proud to take home one of the highest print competition awards given out in the world of professional portrait and wedding photography! 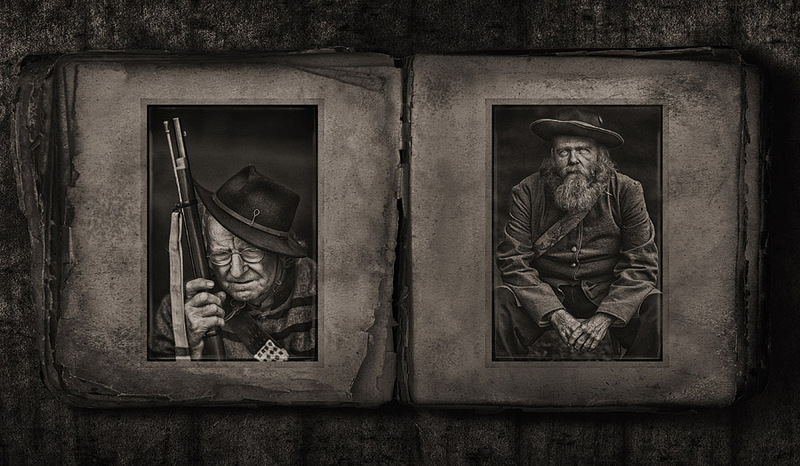 It is with great excitement we announce that back in January of 2016 Ted Linczak was awarded the Overall Grand Imaging Award for his album titled “1863” at the 2016 Professional Photographers of America Imaging Conference in Atlanta, Georgia. The Grand Imaging Award represents the highest honor achievable for an image entry in print competition in PPA’s International Photographic Competition. The GIA is the highest of all PPA Awards and is given to the top entry out of over 6,000 images entered from both the United States and across the globe. In addition to receiving the GIA within the PPA Awards system, 1863 placed 1st in the non-event album category, and was also awarded the Gold Medallion by the American Society of Photographers, which is the highest honor an image can receive with the ASP. The following is a little background behind the 1863 album project, written by Christine Walsh-Newton of Gallery C in Dover, Ohio. Excerpts of this article ran in the spring addition of the American Society of Photographers magazine. “1863,” a non-event album by Ted Linczak, M. Photog. Cr., of Linczak Photography in Cleveland Ohio and Nuvo Images in Charleston, South Carolina, proved to be a personal project gone very right. Linczak, who credits the album with bringing a piece of history to life, captured the highest of all PPA Awards in print competition, both the PPA 2016 Grand Imaging Award as well as the 2015 ASP Gold Medallion for the project, which began its life in 2014. Linczak, primarily a wedding and portrait photographer, has always been interested in history, especially the Civil War era. His wife, Rachel Linczak, M. Photog. Cr., gifted him with a book of Civil War photography that had been colorized, which inspired him to try and create his own collection of realistic portraits from the same era. He began working on his concept in the fall of 2014, first creating and rejecting story lines until he’d settled on a soldier theme. He then reached out to Civil War reenactors in the Charleston, SC area, making a connection with the South Carolina Independent Civil War Reenactors Association, first capturing them in scheduled sessions, and then later as they participated in a reenactment of the Battle of Secessionville. Linczak appreciates the fact that he can bring life to a historical event that people otherwise would not think too much about. By putting the pieces together into an artistic experience, it becomes something that is more than just a concept in his head – he has brought it to life for others to enjoy. They are able to appreciate a piece of history through an artistic aspect that normally they might not experience. It allows them to understand these events from a different aspect than history is normally taught and it may pique their interest to look into further study of that time period. Personally, “1863” has inspired Linczak to stay on the theme of historical eras and he is currently working on an ongoing series of American History albums. Technical: This project was photographed with Canon EOS 5D Mark III, 70-200 2.8L IS II and a 135mm 2.0L, utilizing natural light and reflectors. Post-processing was done via Nik and Adobe Photoshop. To view the 1863 album in its entirety, please click here.